SWITCH OFF – one of the most promising newcomer acts in the EDM scene. 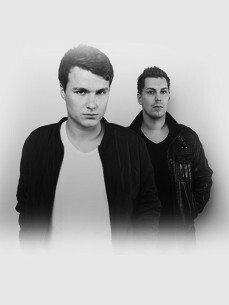 These two guys from Germany are one of the few acts which are honored to release their tracks on the top labels in the scene like “Spinnin’ Records”, „WOLV“ and „Armada“. Their latest tracks and collabs (Horror, Gramophone, Like This and many more) with guys like Alpharock & JuicyTrax were rising the Beatport Charts and received huge support from superstar DJ’s such as Tiesto, Hardwell, David Guetta, Dyro, W&W, Bassjackers and many more.